This Design/Build high-tech learning center is designed to be built in three phases. A key focus during design was to create a “signature” building that would be highly visible to encourage student enrollment at the Downtown Campus. 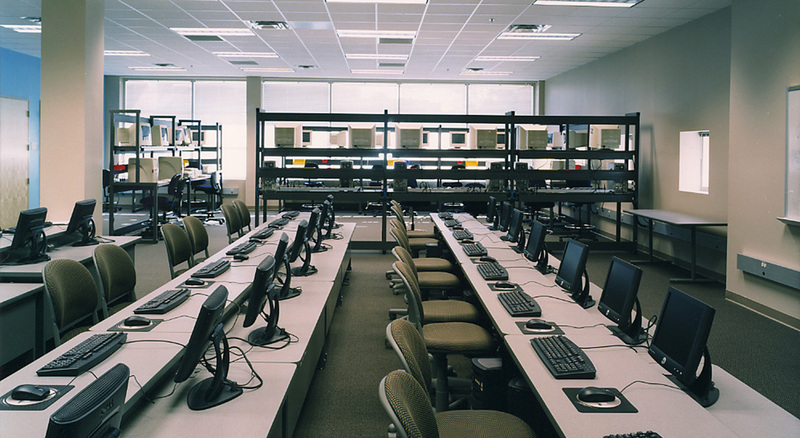 Ranked as one of the “Top 3 Best Wired Colleges”, the facility required constant flexibility of the design to embrace the constant and emerging technologies. Classes instructed in this center will serve the diverse occupants of business professionals and students. 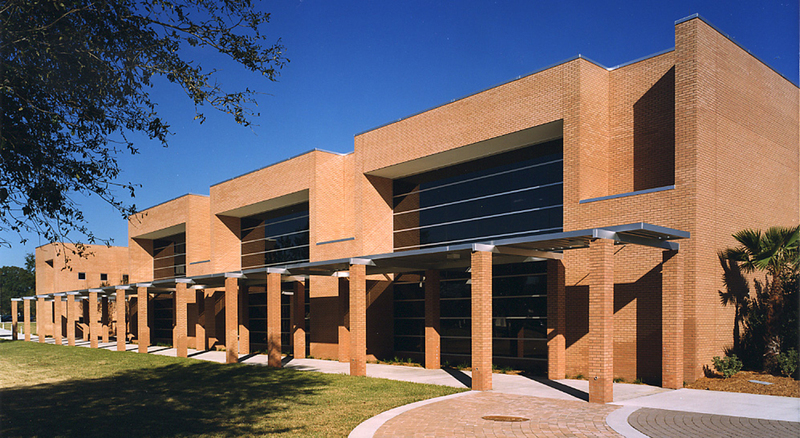 The Advanced Technology Center is a two story structure with a brick exterior and brick atrium lobby. The first floor has exposed utilities, wiring, and cabletray for the more industrial focused academics. On the second floor, the setting is the more refined computer specialty area. 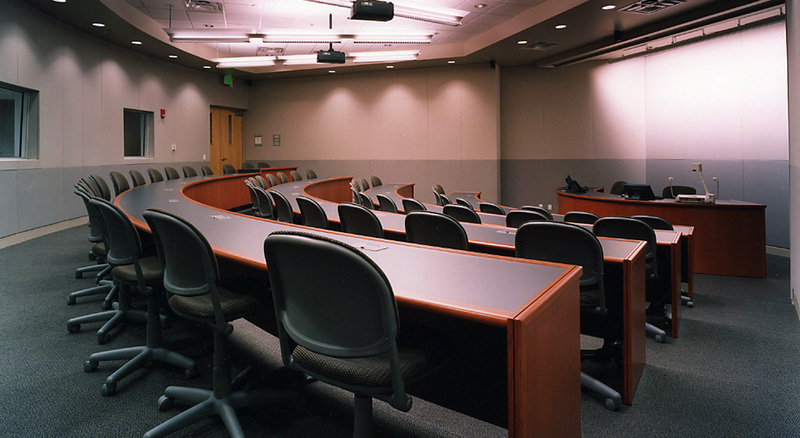 In addition, a biomedical and technical writing center are incorporated to this floor plan along with video conferencing and an auditorium.